Superstar actress Julia Roberts took advantage of FC Barcelona's presence in Los Angeles for Saturday's first pre-season match versus Tottenham Hotspur, and attended as a guest of the Club. Roberts and her husband, Daniel Moder, and two of their children, Finn and Henry, while their daughter, Hazel — an avowed Barça fan — was unable to attend. 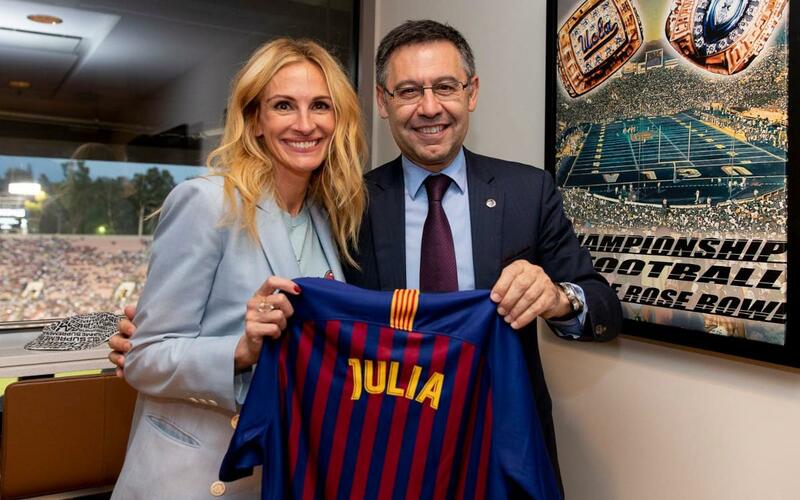 Barça President Josep Maria Bartomeu invited the actress and her family on behalf of the Club to attend a game at the Camp Nou. The two chatted about soccer for a little while. Roberts is known to be a fan of Barça — especially Leo Messi — and women's soccer.